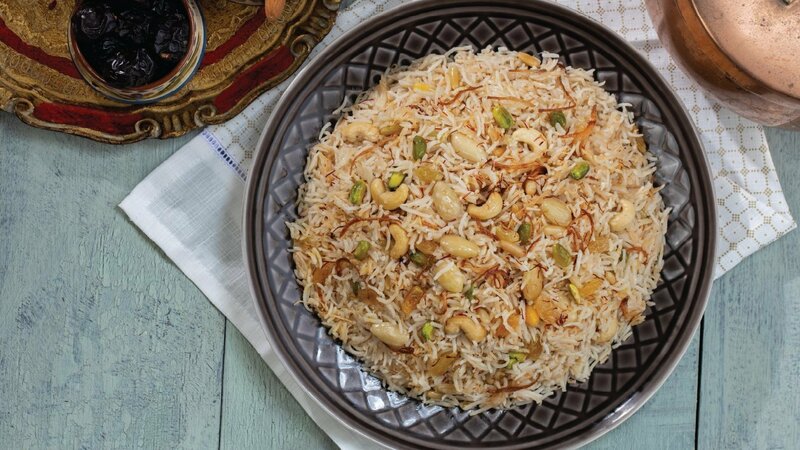 This rice dish, which is one of my best creative recipes, has a slight sweetish tingle to it because of the raisins and mixed dry fruits. It works very well for both buffets and set menus. Take a pot and heat with ghee or oil. Then add black cumin. When they start to crackle, add sliced onions. Saute till they become transparent. Then add ginger garlic paste, sliced green chillies and salt. Saute till the raw smell disappears. Now add chopped coriander and mint leaves and mix well. Now add basmati rice, vermicelli and 2 cups of water. Combine well and add Knorr Chicken Stock Cubes and adjust the salt. Now cover the pot with lid and cook on low flame for 20-25 mins. Finally add soaked saffron and mix gently. Stir in the dry fruit and raisins. Now your simple and delicious yummy shahi pula o is ready to eat.